Love Asian cuisine? Then you will adore Jia for artfully combining the best culinary traditions of Asia in on e modern, sophisticated space. Jia's concept, which encourages you to mix and match regional favorites from Asia, has added exquisite dishes from South America to the menu, turning each meal into the dining equivalent of a passport stamp for the seasoned traveler. 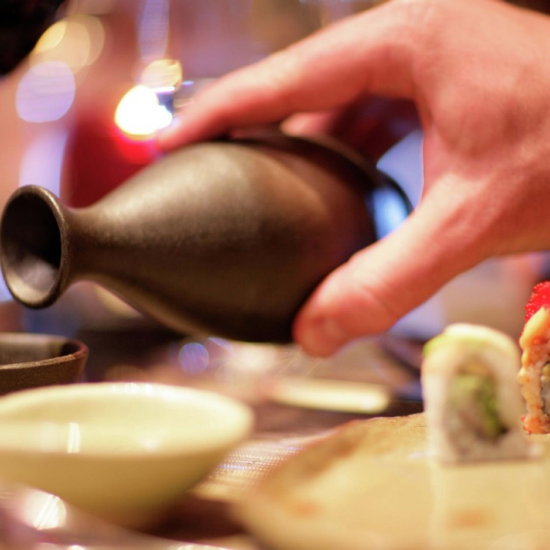 At Jia, you'll discover an immersion course in flavor. The stylishly Zen-inspired décor sets the stage for a menu that blends the exotic with sublime simplicity. Your teppanyaki experience will begin with miso soup orclear onion soup, followed by a baby greens salad withginger soy vinaigrette. All entrées include grilled vegetables,dipping sauces & fried rice. Thoroughly cooking foods of animal origin reduces the risk of food borne illness. Individuals with certain health conditions may be at higher risk if these foods are consumed raw or undercooked. Walk past The Buffet on the left and Nu’vo on the right and onto the casino floor. Follow the wide middle aisle through table games to High Limits and take a left at High Limits. Follow the pathway to Jia. Jia is on the right after High Limits. Exit from the parking garage elevators and take a right through the glass doors onto The Shopping Promenade. Continue on The Promenade to the Hotel Lobby. Take a right from the lobby past The Jewelry Box and onto the casino floor. Follow the middle aisle to High Limits and take a left at High Limits to Jia.